Terry Fletcher Consulting, Inc. Products | Terry Fletcher Consulting, Inc. Welcome to Terry’s products page. Here you will find a variety of tools and items which will help take your medical practice to the next level. 2019 Specialty Coding Workbooks now available for purchase! Please Note: These are eBook publications available in PDF for your desktop. Cardiology, Gastroenterology and Orthopedic Coding Workbooks available now – $59 each. Pay online safely and securely using a Credit Card or PayPal. You may also pay by check. A copy of this page, stating which reference guide(s) you are purchasing. Checks should be made out to Terry Fletcher Consulting, Inc. These are eBook publications. Your book will be delivered via email within 72 hours. Cardiology practices struggle with coding non-coronary procedures. 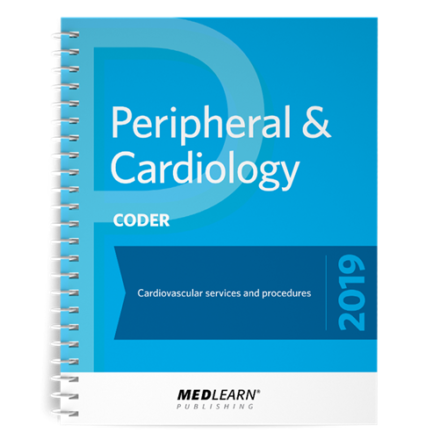 The Peripheral-Cardiology Code Book is all about answers, giving billing and coding professionals confidence when billing. When can you bill for abdominal aortograms performed with cardiac catheterizations? Can you bill for imaging guidance? When to bill for Extremity Angiogram coding with interventions? Find answers to these and all of your coding questions inside our comprehensive resource, plus much more, including many case studies to help you visualize the codes via an op report.